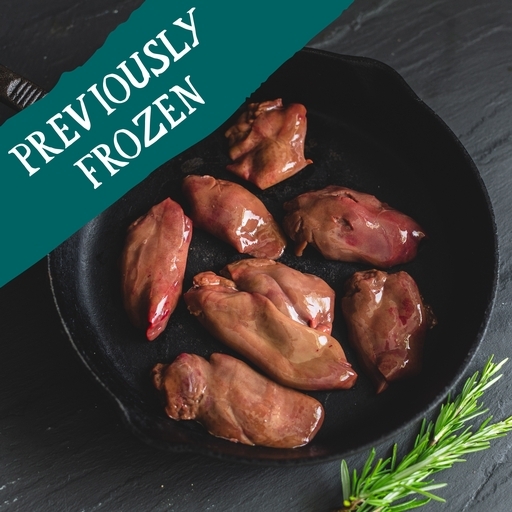 Fresh organic duck livers from slow-grown free-range birds. Rich, succulent and full of flavour, they’re just right for pan-frying until golden and serving on toast, adding cream and caramelised onions for a sumptuous pasta sauce, or turning into a delicate, silky smooth pâté or parfait. Don't miss our duck livers. They will be available for deliveries between the 15th and 20th April while stocks last. Trim away any excess sinew or fat. Season them well. Fry on a medium/high heat for about 2 mins each side, until nicely coloured. You can finish them in the pan with a dash of booze, lemon juice or vinegar and a knob of butter. Leave them to rest for a few mins. They are best lightly pink in the middle; cook longer for well done. They are also perfect for making into a pâté or parfait.